The Soft Edge 10 Chair impresses with its minimalistic, straightforward design. 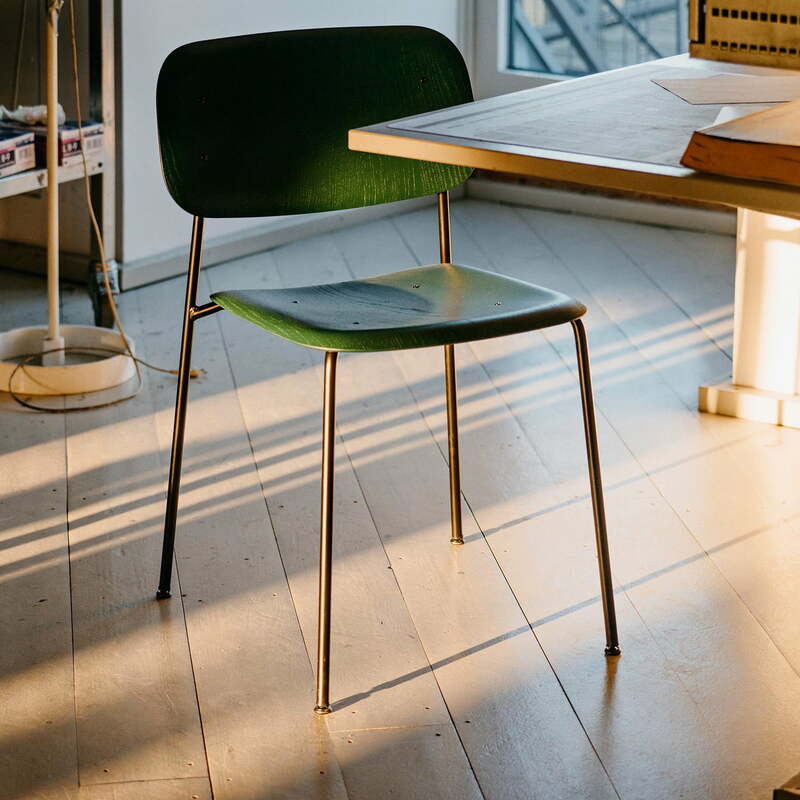 Designed by the Copenhagen based designer duo Iskos-Berlin, the chair convinces through its outstanding quality and detail. 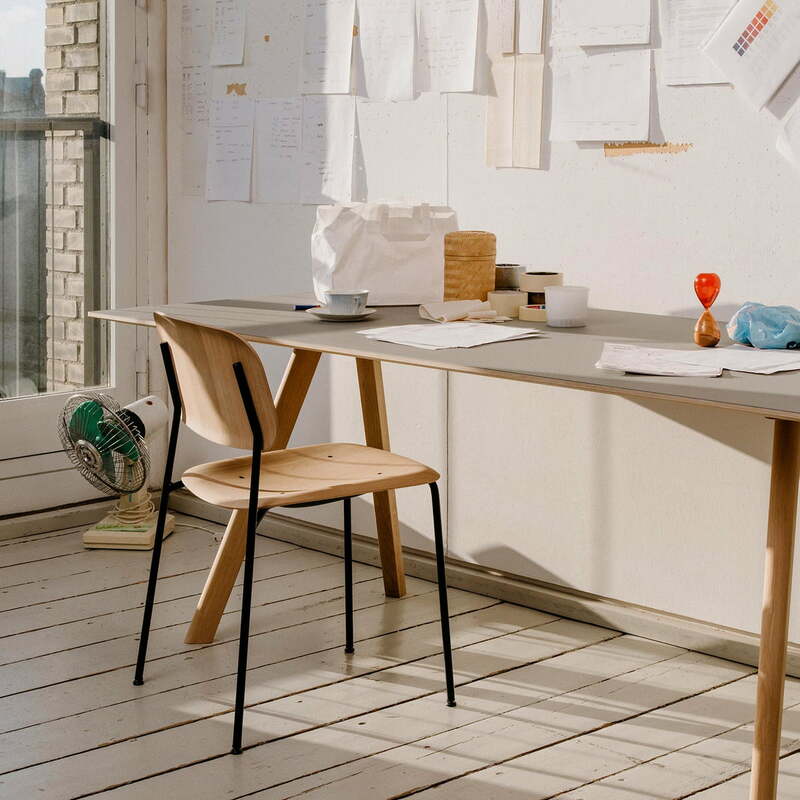 Together with the Danish manufacturer Hay, Iskos Berlin not only developed a visually appealing wooden chair, but one that is also ergonomic with a delicate charm. To achieve the most comfortable, ergonomic silhouette, an innovative technique was used to shape plywood. A not very widespread manufacturing technique, which makes an almost three-dimensional surface shaping possible. Its rounded seat and back surface make the otherwise simple chair look comfortable and inviting. The powder-coated steel legs contrast the wooden veneer seat in an exciting way. It gives the chair an industrial flair that can be used in a variety of ways. Another advantage: Thanks to its lightness, up to eight chairs can be stacked one above the other. This makes it ideal for bars and restaurants, since they can be stored in a space-saving way when not in use. As part of that Soft Edge Series, the Hay Chair 10 is available in various colours. Isolated product image of the Soft Edge 10 chair by Hay in matt lacquered oak and black powder-coated steel The powder-coated steel legs contrast the wooden veneer seat in an exciting way. 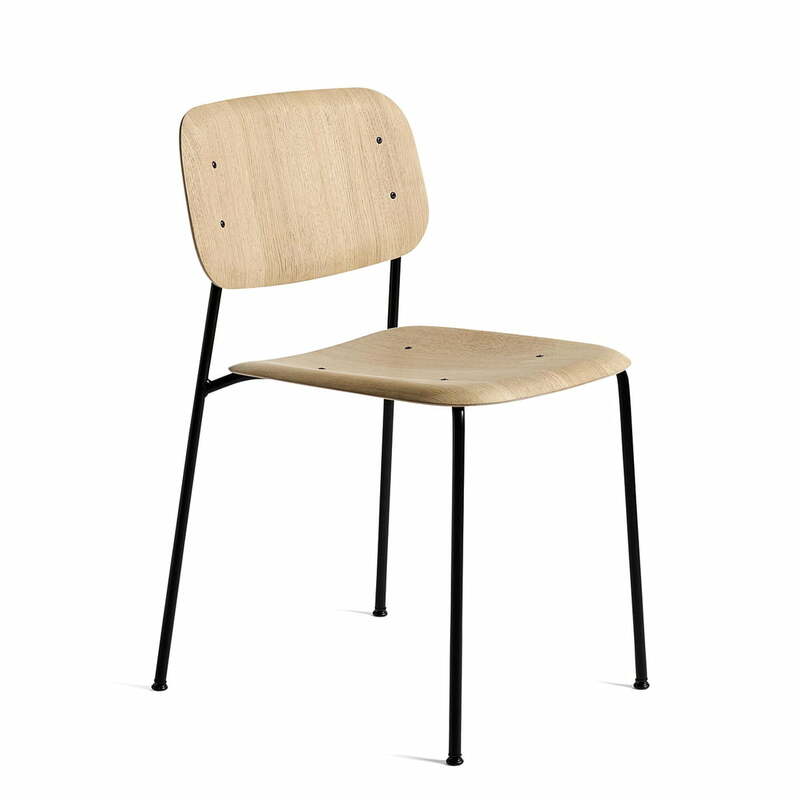 Soft Edge 10 chair by Hay in matt lacquered oak and soft grey powder-coated steel. 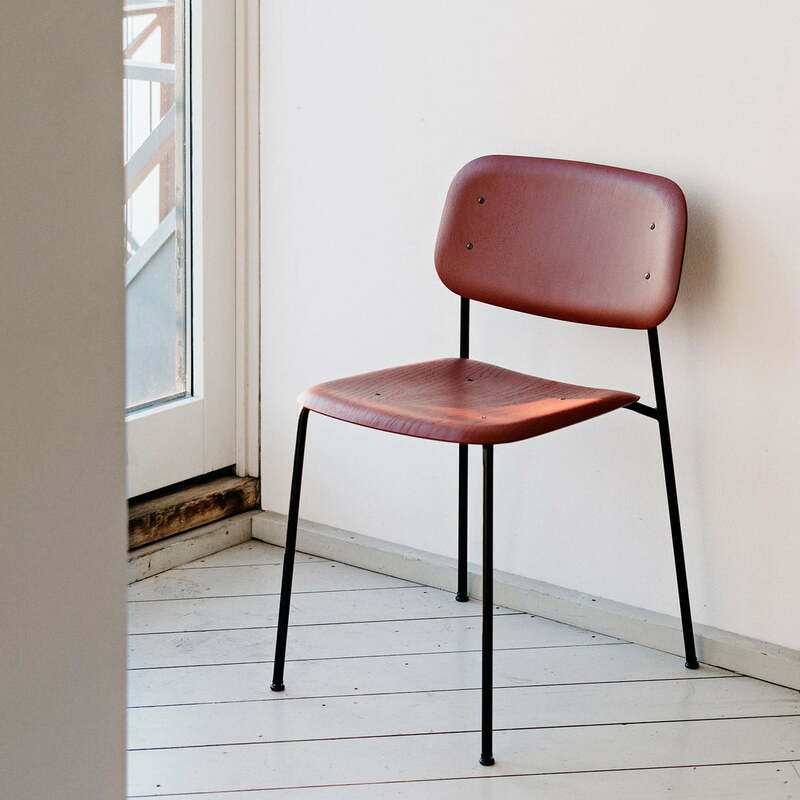 The Soft Edge 10 Chair impresses with its minimalistic, straightforward design. Thanks to its lightness, up to eight chairs can be stacked one above the other. 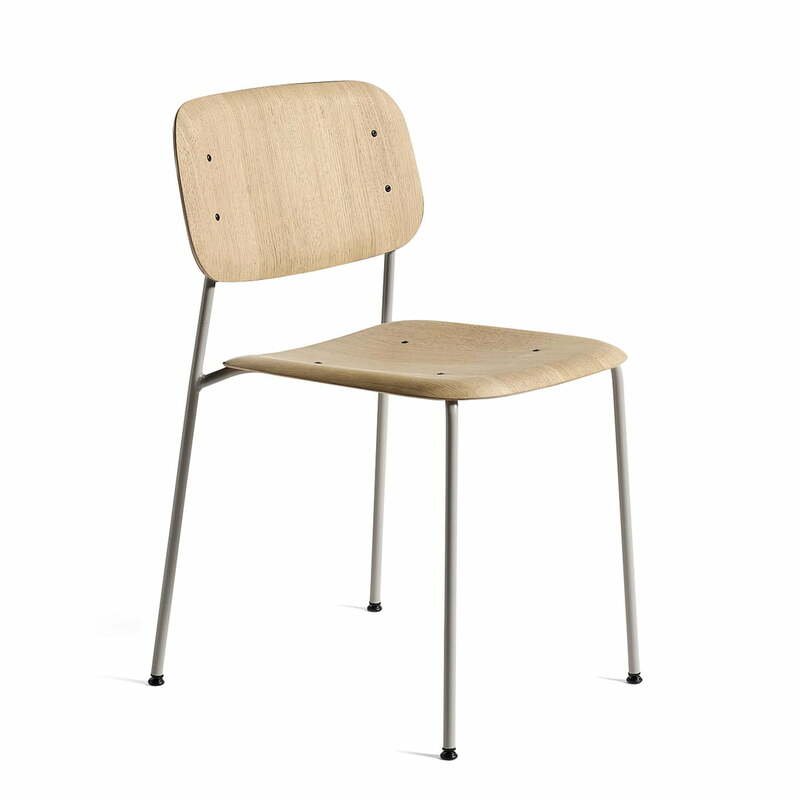 This makes the Soft Edge 10 chair by Hay paticularly useful for schools and restaurants.